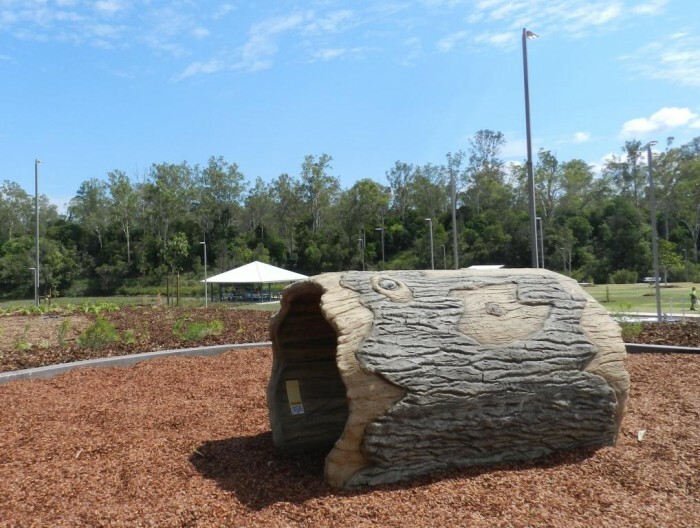 After being completely wiped out in the 2011 floods, the re-Development of the Colleges Crossing Recreational Reserve was a major undertaking between Ipswich City Council, GHD Landscape Architects and ourselves. 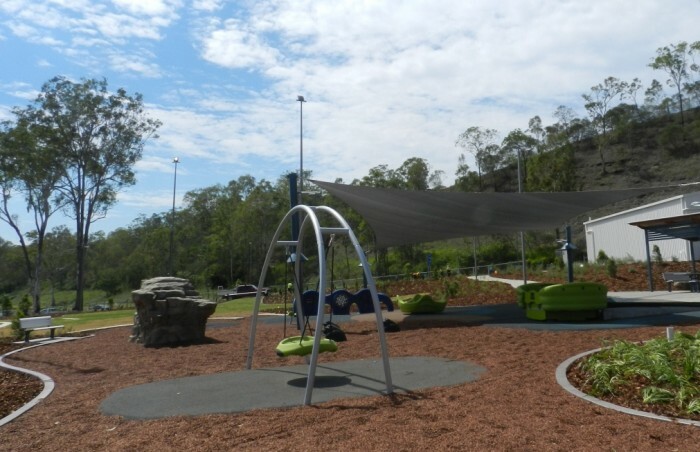 We worked towards a concept design that reflected the varied user groups and which offered a multigenerational universal solution for the numerous people utilising the space on a daily basis to relax, entertain, gather with friends and family, and make use of the natural setting, water access and recreational facilities provided there. 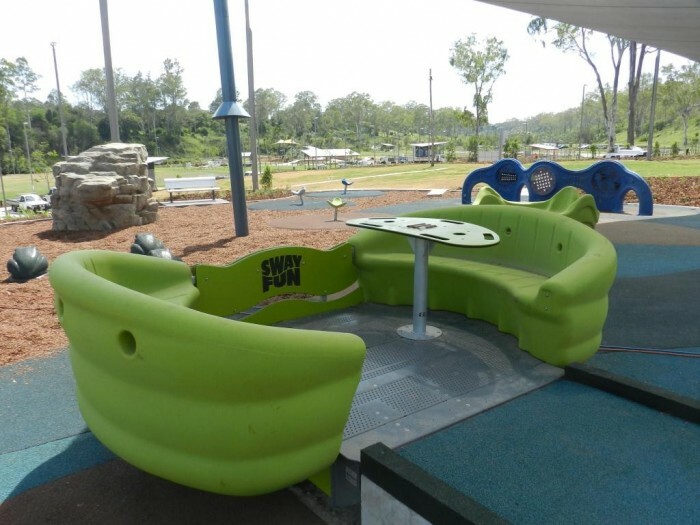 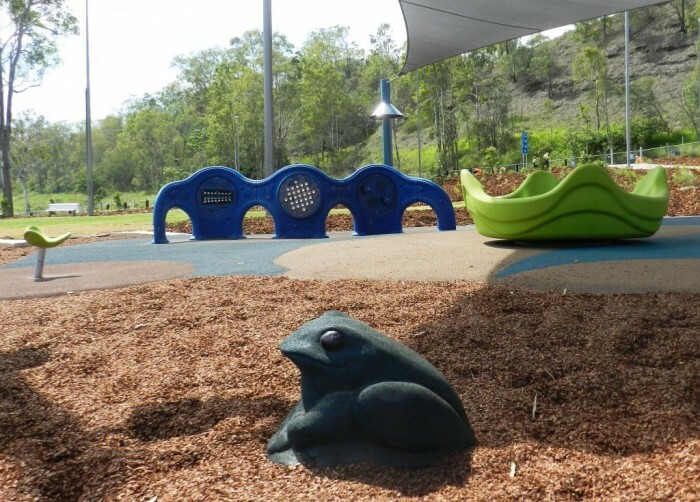 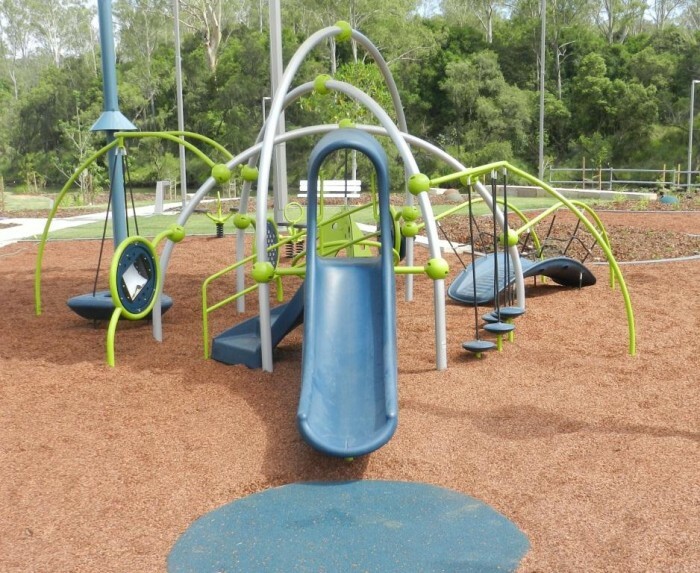 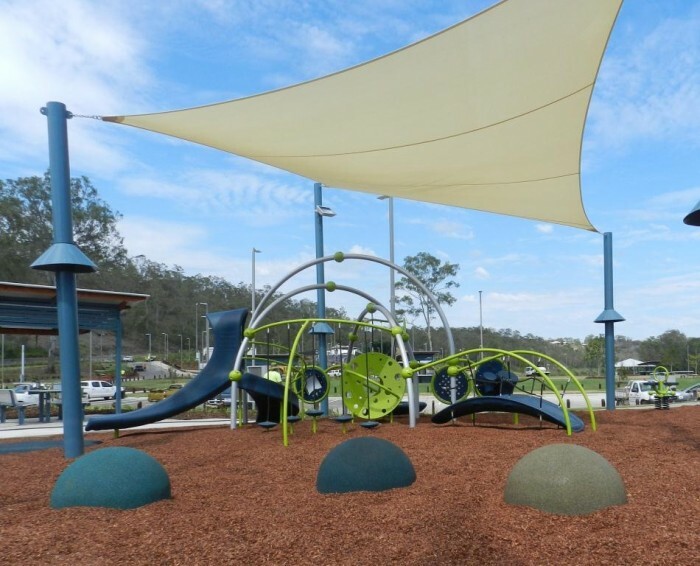 Within the comprehensive brief was the incorporation of challenge, inclusive, natural and junior areas – and we incorporated a variety of play equipment combined with architectural elements to achieve a multi functional, inclusive and unique destination park. 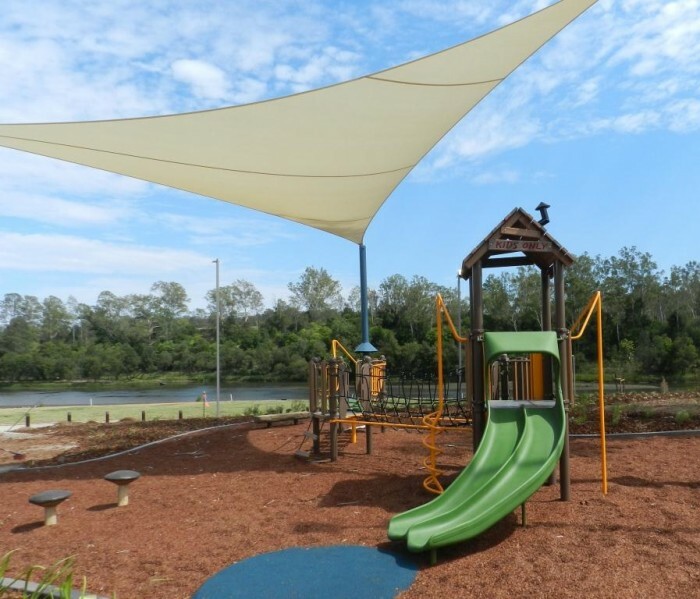 The design also considered design to give the least barrier to water flow in the event of flooding, as well as having zero impact on the trees in the area. 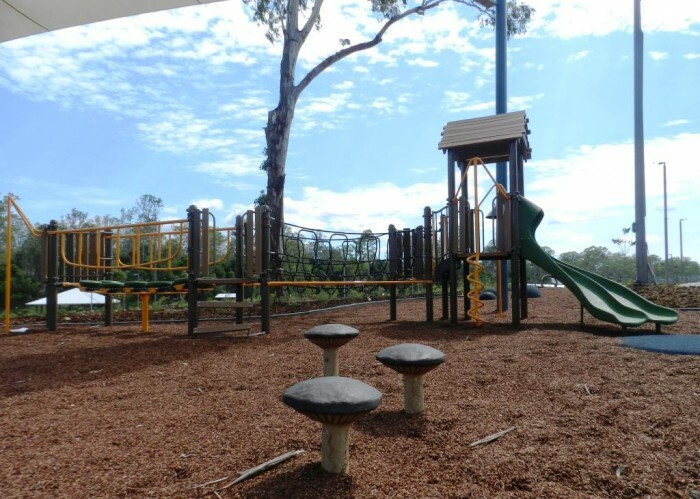 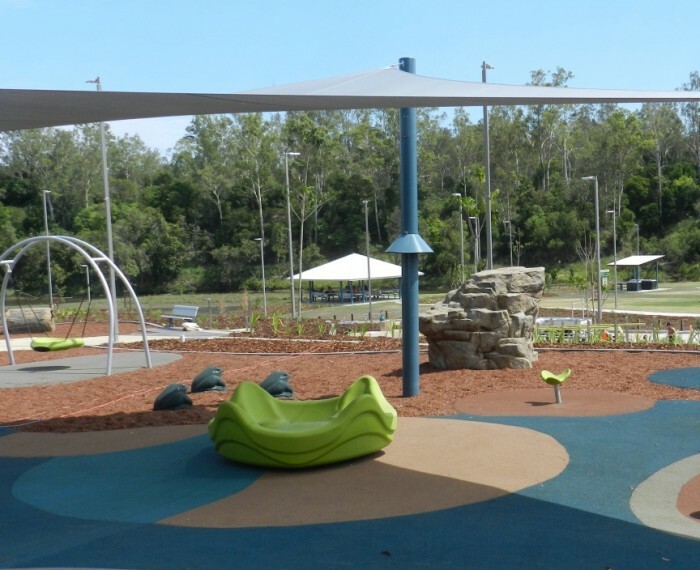 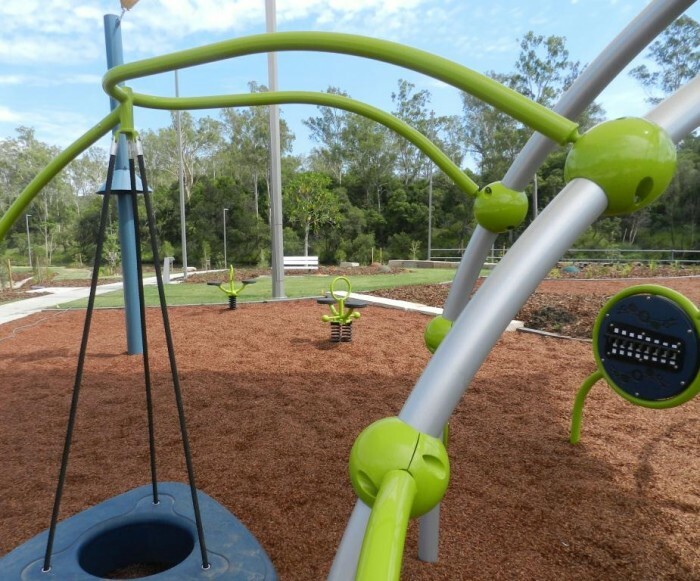 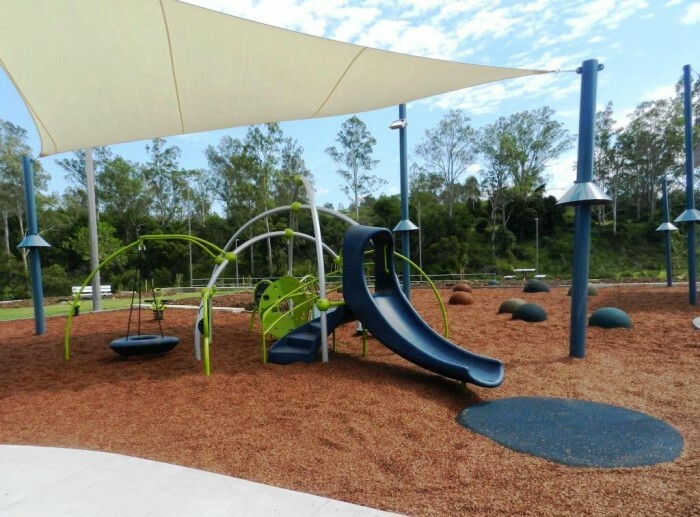 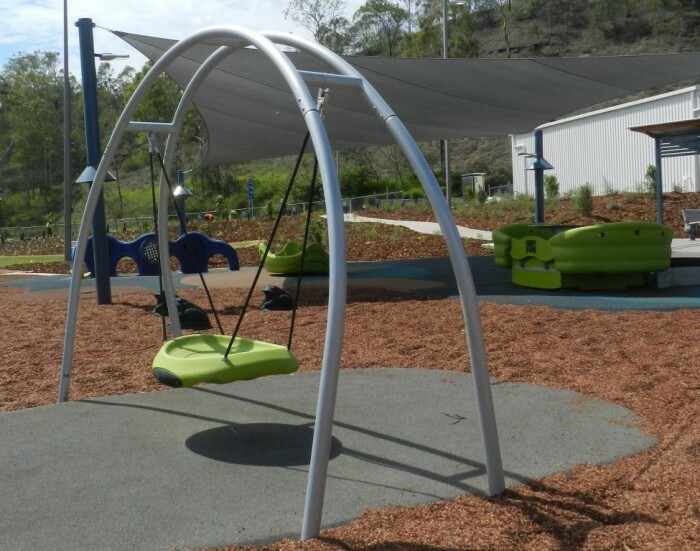 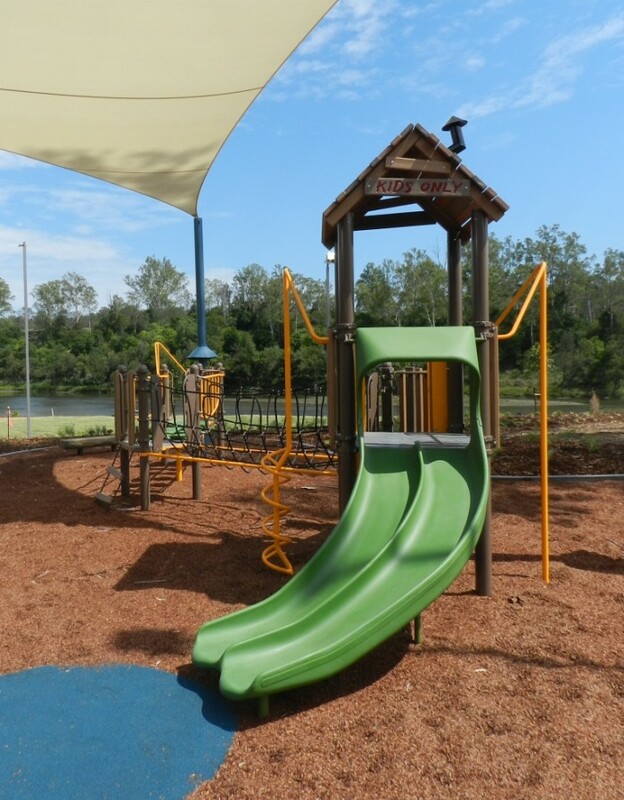 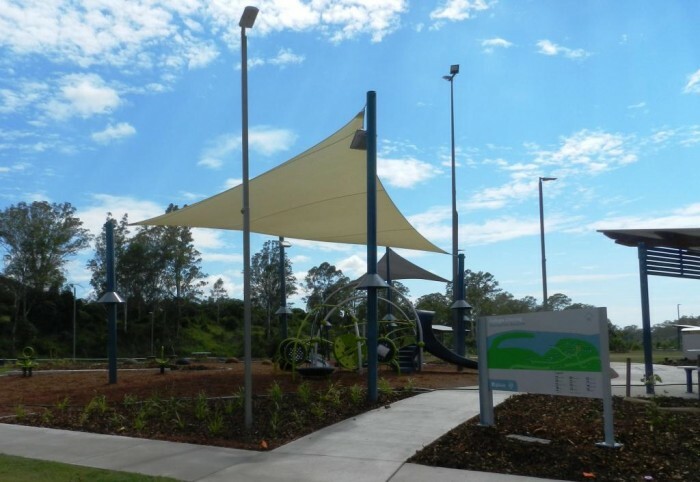 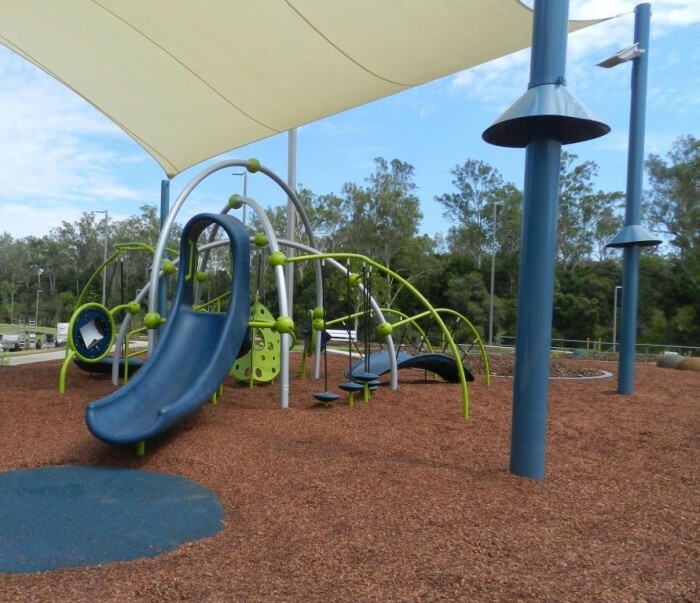 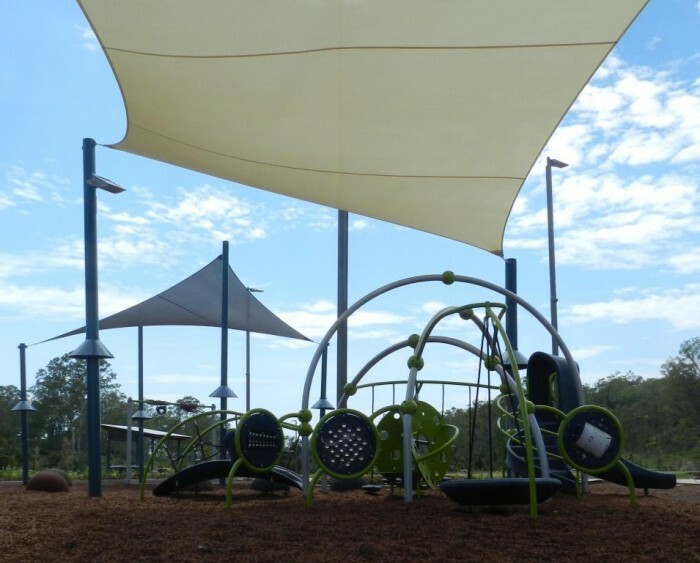 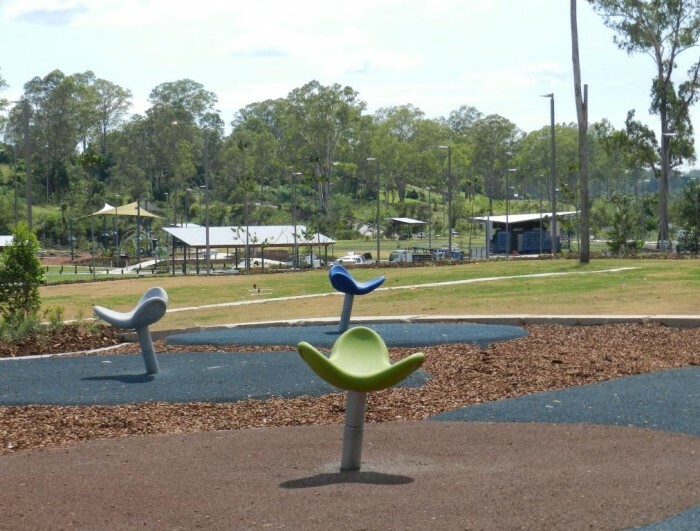 With the contract won by JMac Constructions, who have also completed the stunning blended landscaping, the park is open in time for the Christmas holidays – so that residents and travellers alike can enjoy this most picturesque recreation reserve.